Made in Hong Kong, born in New Zealand and raised in the stunning Otway Ranges of Victoria were the eclectic foundations for Atlanta's journey to becoming a passionate Citizen Scientist. Atlanta travelled all over Australia before settling in Albany ten years ago, where she decided to formalise her knowledge. Her studies on the Long-necked Turtle in 2007 won her Student of the Year and encouraged her to delve deeper into honing her scientific skills. While completing a degree in Restoration Ecology, she continued her survey work of the turtles and is now recognised locally as the "go to" girl for all things turtle. She encourages everyone to remember the dream, take a leap of faith in their abilities and give it a go. It's the journey not the destination that matters. Neil Pettit completed his PhD in October 2000 investigating the factors affecting recruitment of riparian vegetation on the Ord River in the Kimberley region and on the Blackwood River in south Western Australia. From 2002 to 2006 worked as a Research Fellow at the University of Washington, investigating the ecology of river/savanna boundaries in Kruger National Park, South Africa. Since 2007 Neil has been a Research Fellow with CENRM, working within the TRaCK programme theme looking at food webs and biodiversity of northern Australian rivers. . I am a conservation biologist, trained and widely published in in evolution, ecology and taxonomy. My research and teaching interests are broad, with specialist expertise in eucalypts, the plant family Haemodoraceae (containing kangaroo paws), orchids, plants of granite outcrops, rare plants and pollination by vertebrates. I have worked in the Western Australian Government, at the University of Western Australia, and been Director of two world class botanic gardens, while maintaining an active field research program right up to the present day. I have broad interests in biodiversity and in devising ways for people to live sustainably with biodiversity on old, climatically-buffered infertile landscapes. I was employed as Western Australia's first Flora Conservation Research Officer in 1977, and promoted to Senior Principal Research Scientist and Officer in Charge of the Western Australian Wildlife Research Centre, Department of Conservation and Land Management from 1988 to 1992. In 1990 I was Fulbright Senior Scholar at the University of Georgia (USA) and Miller Visiting Research Professor at the University of California, Berkeley, working on granite outcrop plant life, which continues as a research interest. I joined Kings Park and Botanic Garden as the Director in 1992, and from 1999 to 2004 served as Chief Executive Officer of the Botanic Gardens and Parks Authority (which manages Kings Park and Botanic Garden and Bold Park), leading the delivery of improvements to programmes and infrastructure to world-class standards. At the same time I held Adjunct Professorships at UWA (Botany Department) and Curtin University of Technology (School of Biology). 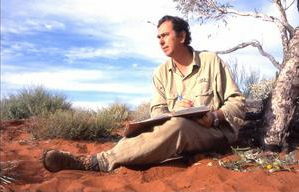 While Foundation Professor of Plant Conservation Biology at The University of Western Australia from 2004 to 2006, I developed new theories on the evolution and conservation of biodiversity on the world's oldest landscapes, which led to the establishment of new degrees in conservation biology. I joined the Royal Botanic Gardens Kew in London, a World Heritage site and global plant science powerhouse of 800 staff, in October 2006, and led the organisation through celebrations of its 250th anniversary in 2009. I was honoured to be the first non-British Director (CEO and Chief Scientist) to hold that august post. I led the development and implementation of a forward ten year Breathing Planet Program for Kew and its global partners. This collaborative program aimed to make an urgent and necessary step change in the application of science-based plant diversity solutions towards sustainable living and a reasonable quality of life in the face of accelerating climate change and the loss of biodiversity. The Millennium Seed Bank Project was a key part of this program. In October 2012, I stepped down as Director of Kew to become Winthrop Professor of Biodiversity at the University of Western Australia, based in Albany at UWA's Centre of Excellence in Natural Resource Management, with a joint appointment at the School of Plant Biology. .